Located in New Haven’s Hill neighborhood, the Welch Annex School was originally constructed in 1930 and served as a public school for many decades, before being used by a local charter school as short-term classroom space. Once vacant, the structure and surrounding property quickly fell into a state of disrepair. Through a competitive process, the City selected the team led by RMS Companies to redevelop the property as part of the Hill-to-Downtown Community Plan. 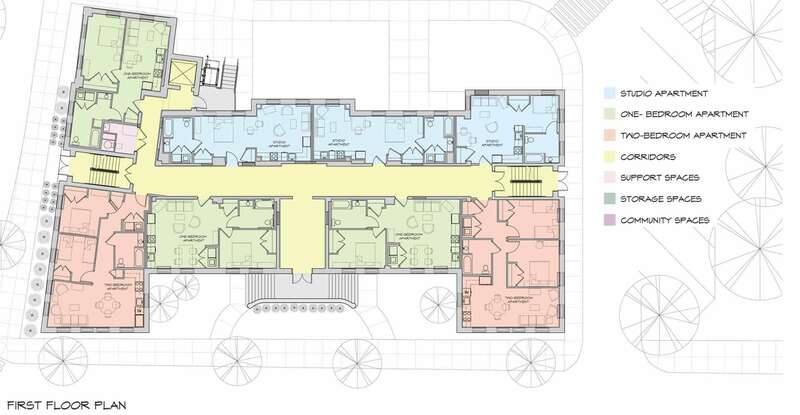 Kenneth Boroson Architects was selected to design the adaptive reuse of this neglected property with the goal of maintaining its historic character. The brick masonry exterior wall, steel structure, Collegiate Tudor style building is comprised of three stories above a finished basement. 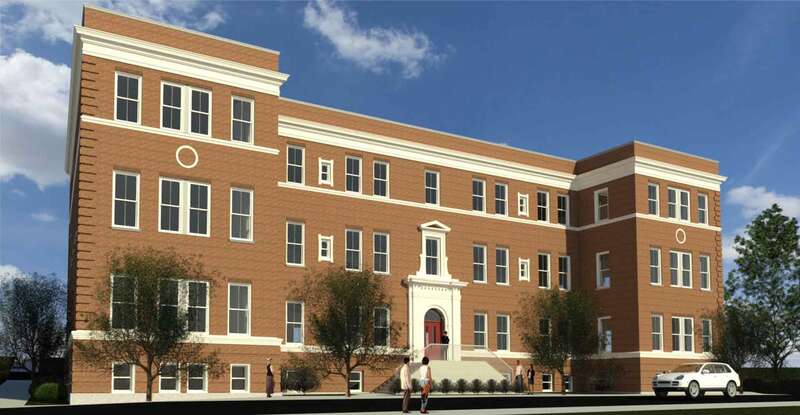 Due to its current condition, the majority of the building will be gutted, with former classroom spaces to become 30 new dwellings, including studios and 1- and 2-bedroom units. 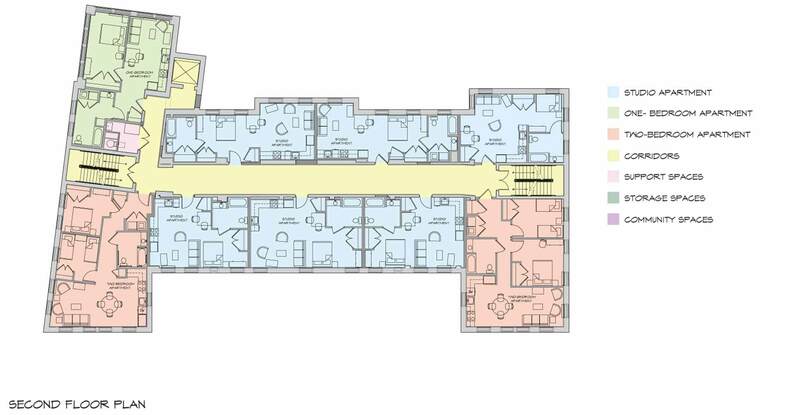 Most of the original circulation areas will be maintained and improved, including the main hallway, stairwells, lobby and elevator. 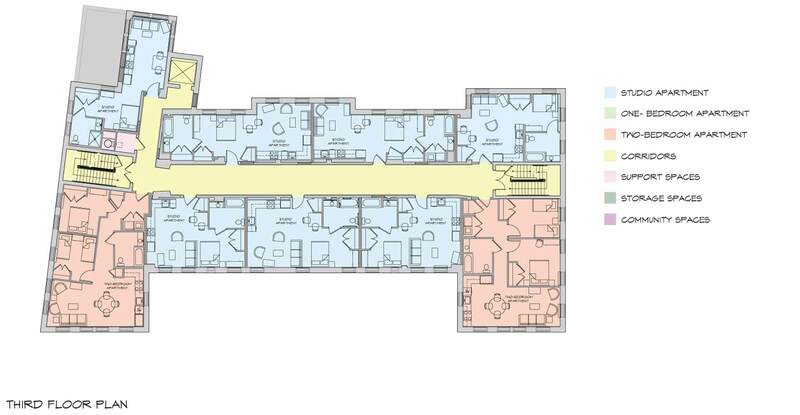 Planned resident amenities include a community room with kitchenette, small group meeting rooms, and reading rooms. 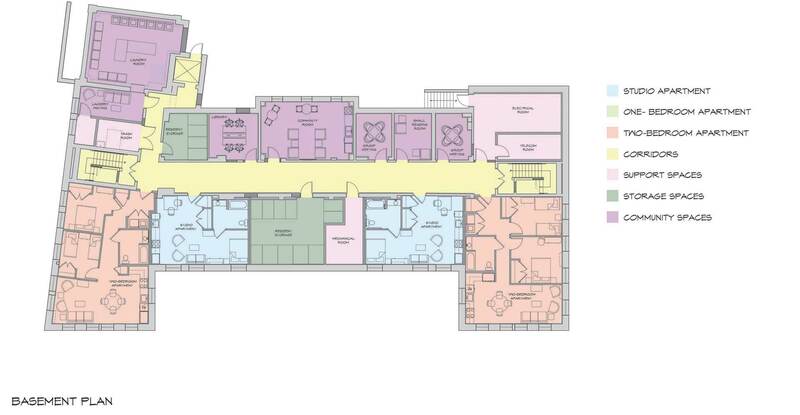 Additional storage space and a communal laundry room will also be available. Outside, residents will have use of two fenced-in open space/garden areas. 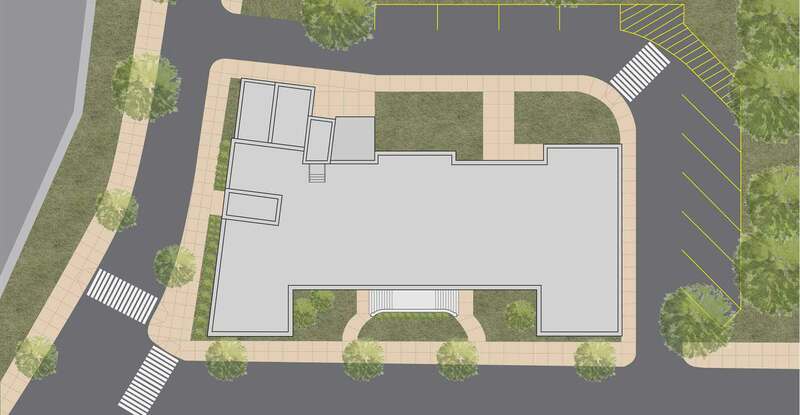 The half-acre site at the corner of Prince and Gold Streets is in close proximity to Union Station and Yale School of Medicine, and includes a paved parking area. This project is being designed concurrently with the Gold Street mixed-use development, which is being completed by the same development and design team. Financing applications have been submitted to the Connecticut Housing Finance Authority (CHFA) with the goal of obtaining 4% Low Income Housing Tax Credit (LIHTC), and to the Connecticut Department of Housing (DOH), for Competitive Housing Assistance for Multifamily Properties (CHAMP) funding.